Meaning seed in Sanskrit, Bija is a metaphor for the origin or cause of things; a capsule for new beginnings. 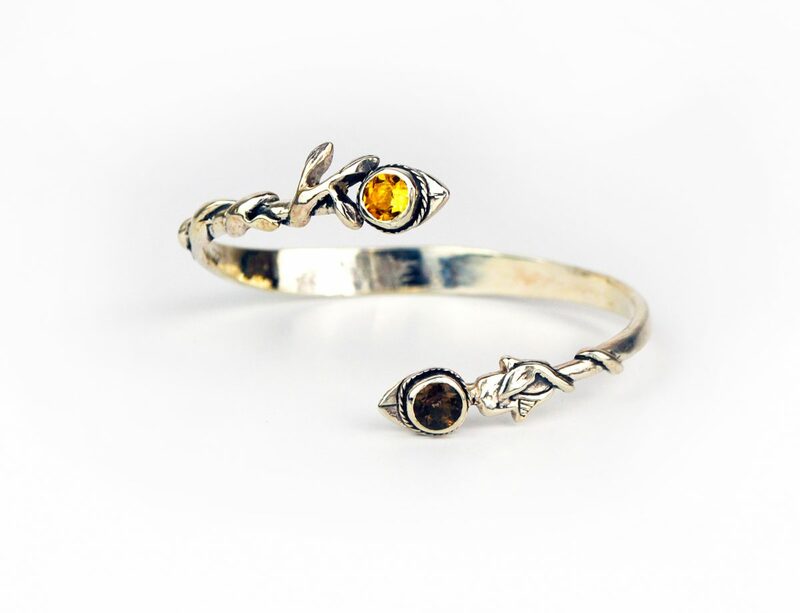 The Bija cuff bracelet represents the sewing of seeds to stimulate the mind in a positive direction; planting and nurturing good thoughts in the mind of the wearer. Meaning seed in Sanskrit, Bija is a metaphor for the origin or cause of things; a capsule for new beginnings. The Bija cuff bracelet represents the sewing of seeds to stimulate the mind in a positive direction; planting and nurturing good thoughts into the mind of the wearer, protected by the hamsa hand, an ancient symbol used to keep away negativity. Boodi jewellery is committed to ethically sourcing all of its materials. 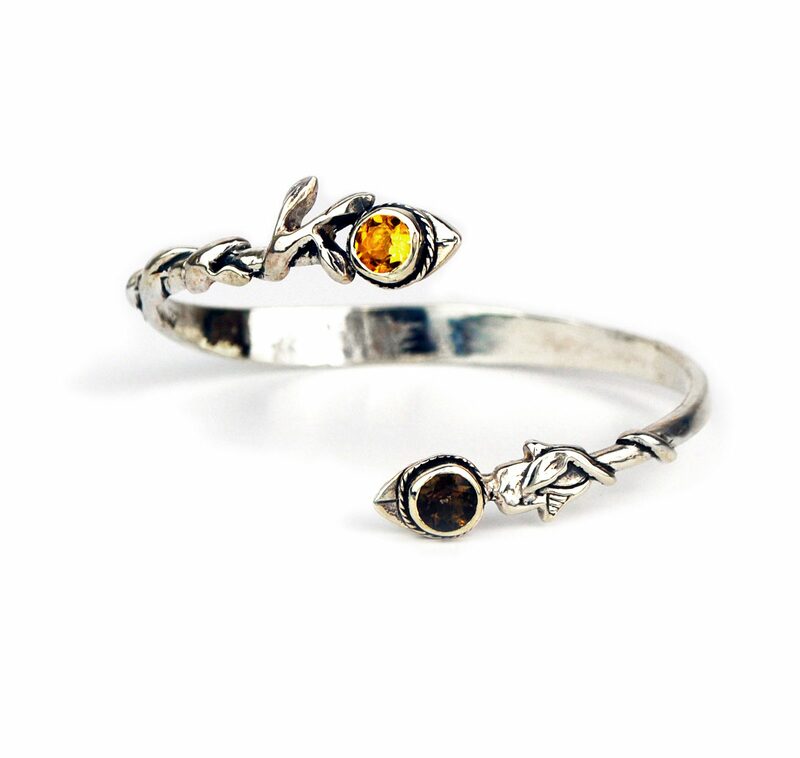 The metals are recycled and each gemstone is traceable and fairly traded. We work closely with our suppliers to maintain an ethical and sustainable brand. Gently adjust the Bija cuff bracelet to your required size. The Bija cuff bracelet is carefully hand carved using the lost wax process and cast from recycled sterling silver. The citrine and smokey quartz gemstones are ethically sourced and traceable. Gold plated and solid gold options are also available. If you having trouble finding them in our shop do contact us for help.